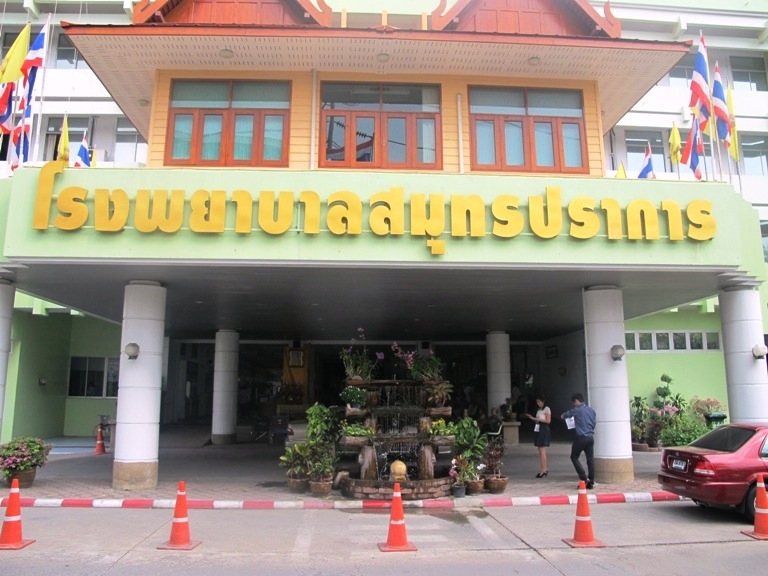 Mrs. Buaphun Chaisorn, laundry vendor received one washing machine and one iron , she told us that she is doing well and can earn average 6,000 baht per month. 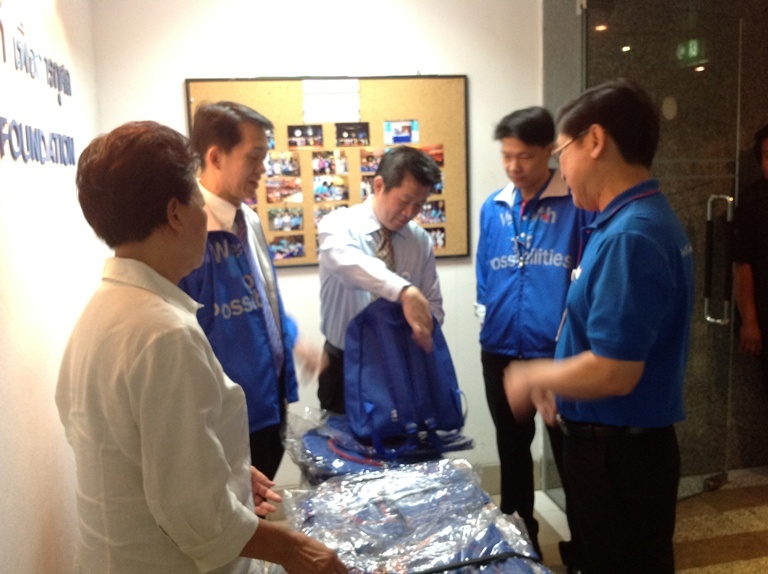 Mrs.Poom Sreeprasit received a one iron . She told us that she appreciate our kindness and contribution that make her earn more income than before . Right now she requests one washing machine as the present one she has non broken . So we will bring the matter to our committee for consideration. 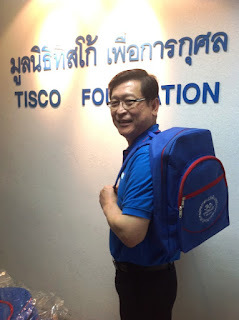 On the same day , our Chairman of Advisor Group, Directors and Staffs of TISCO Foundation have made follow-up on progress of scholarship fund granted to needy students of Banthadindam School , Lopburi . 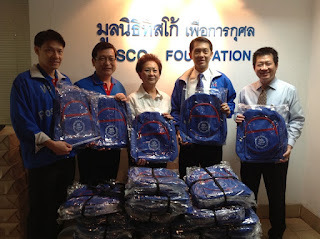 On September 18, 2012 , Khun Vasin Sivasirikaroon , Branch Director of TISCO Bank PCL , presented 200 backpacks to TISCO Foundation for distribution to needy students . 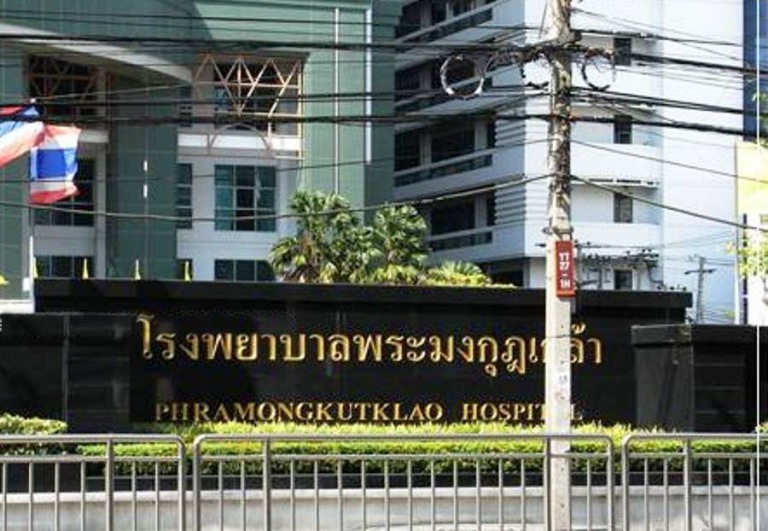 On September 17 , 2012 , TISCO Foundation presented , one ulcer cleaning equipment set to Khun Chaiwat Jayteon , renal failure patient , at Phra Mongkutklao Hospital , Ratchathewi, Bangkok . 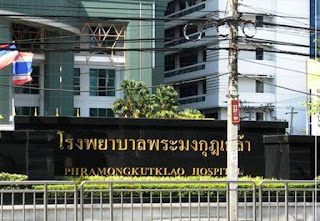 On September 12 , 2012 , TISCO Foundation presented cottons , gauzes and sorb pad to Khun Karuun Prasert , Cerebral Palsy Patient , at Samutprakarn Hospital , Samutprakarn . 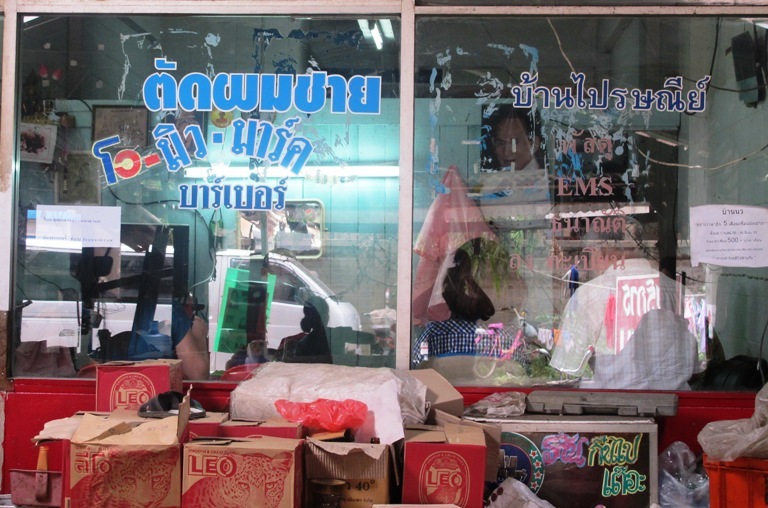 Mr.Kittisak Kaewdang received clippers , mirror and equipments for a barber shop. It was too bad we could not go down to see him due to heavy rain that day. Mrs.Laor Bamrungwong received a cart and equipments to sell rice and curry . 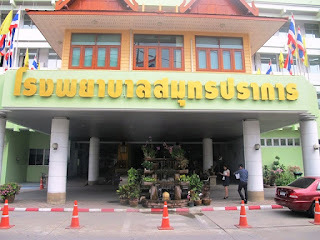 She told us that she is doing well and can earn profit average 300-400 baht per day . Mrs.Paweena Seena received a cart and equipments for somtum and grilled chickens , she told us that she is doing well despite in rainy days and can earn profit average 500-600 baht per day. Mrs.Somnuek Tubsai received a hair dryer and accessories . She told us that she has several customers per day and can earn well . Mrs.Petcharaporn Laothongsarn received a cart and equipments to sell somtum and grilled chickens . She appreciate our kindness and contribution that make her earn more income than before . Mr. Somyod Wittayabamrung , motorcycle repairman , an air pumps and motorcycle accessories . He said that he charges his customers at a very low price . Mrs.Chalouy Kumbunluor , fried banana and grilled meat ball vendor , a cart and equipments . Mrs. Duangchun Wittayabamrung , fried banana vendor , a cart and equipments . Mrs.Duangchun and Mrs.Chalouy made delicious fried banana .